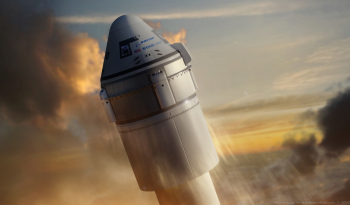 NASA is working with SpaceX and its Dragon 2 spacecraft along with Boeing and its Starliner (CST-100) vehicle to regain American independence for its crew launch capability. The CCP is currently working on mission planning and preparation for eight crew missions, with SpaceX and Boeing each working on a demo flight to the ISS without a crew, a demo flight to the ISS with a crew and two post-certification missions. With regard to the official schedule, SpaceX is planning its first demo mission without a crew in February 2018, and the demo mission with a crew in June 2018. Boeing’s uncrewed orbital flight test mission is scheduled for June 2018 and the first crewed test mission in August 2018. As previously noted with the progress being made on both crew systems, the panel was told the CCP and its partners are now into the “home stretch”, although the panel recognized that these schedules may slip and many challenges remain. The primary interest of the ASAP is crew safety. They are a traditionally conservative body and were initially cautious over the commercialization of human space flight. 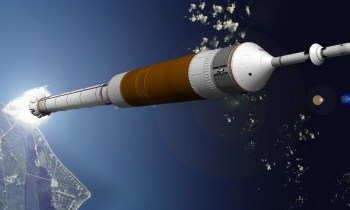 However, traditional elements of NASA have also been a target for their cautious attitude, famously butting heads with the Space Shuttle Program (SSP) when actively protesting against any extension to the Shuttle’s lifetime to cover the growing gap with the then-failing Constellation Program (CxP). Notably, many of the SSP managers who complained about ASAP’s attitude towards their improved safety regime are now embedded as top managers at the commercial crew companies. Ranging back throughout NASA’s history, the dreaded parameter of “LOV and LOC – and the combination of LOV/C” were often cited as a way of portraying the risks involved with human space flight. While LOV (Loss Of Vehicle) relied on abort and crew escape options – something the Space Shuttle lacked in numerous LOV scenarios, LOC (Loss Of Crew) is the metric that sends a shiver down the spines of those tasked with building and launching crew-capable vehicles. The ASAP was told NASA’s LOC threshold number is 1:150 and LOC requirement is 1:270. In other words, the Agency’s requirement is not to lose more than one crew in every 270 flights. This is a guideline to work within, as opposed to an expectation they will actually lose one crew within 270 missions, although the LOV/C numbers have gained ridicule over recent years, not least when Ares I managers boldly claimed a 1:1000 LOC number for their system before refining it into the hundreds. 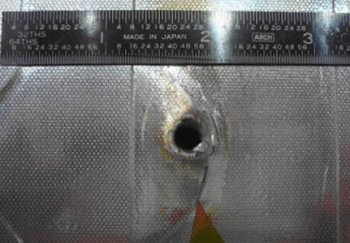 As expected, the major on orbit threat of MMOD dominates the LOC calculation, with the teams “looking at areas for improvement and are continuing to study operational mitigations that could improve the numbers they have today”, as noted to the ASAP. MMOD was traditionally classed as the third biggest risk to losing a crew during the Shuttle era, behind launch and re-entry/landing. The risks associated with launch have been mitigated via the commercial crew vehicle’s abort systems, elements the Shuttle did not include. Notably, a launch abort for a commercial crew vehicle is a concern due to the environment they would be returning too – namely the ocean. A Shuttle’s primary launch abort site (RTLS – Return To Launch Site) was a runway, namely the Shuttle Landing Facility (SLF) – although hundreds of immediate return abort runways around the world were also available had they been required due to a major malfunction on orbit. Likely to be further mitigated by Range Weather status of the downrange sea states ahead launch, the recovery of a crew, aborting into the ocean, in rough sea conditions is the concern. While Starliner’s nominal end of mission (EOM) is a land landing under chutes and an airbag system, an abort from an Atlas V launch will result in the spacecraft landing under chutes in the ocean. 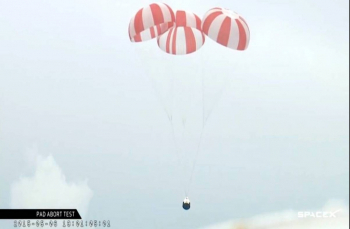 Dragon 2’s recent deletion of its propulsive landing technique has not increased its risk numbers as Dragon 2 was always going to come back to an ocean landing under chutes for what was an interim period during its early lifetime. 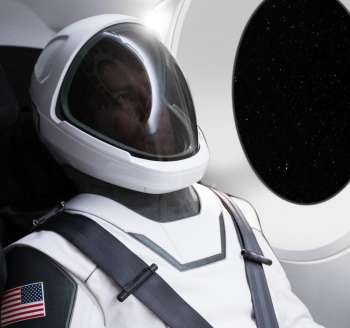 With the new SpaceX crew space suit revealed on Wednesday, it has been noted that crew recovery training is already under way, which will aid the knowledge base for CCP risk numbers. “This suit is much better than the one I wore in the Shuttle. Lots of great innovations. I wore one today for our post-splashdown safety test,” noted Dragon 2 Program Lead Dr. Garrett Reisman, a former Space Shuttle astronaut, tweeting in reaction to the suit reveal. Slightly more mundane is the certification process and Systems Engineering and Integration (SE&I). The former is mainly paperwork, per what needs to be done in terms of the products to be delivered, reviewed, and accepted. Regarding SE&I, the Panel noted NASA agrees with previous calls for the requirement of the Commercial Crew providers to produce verifiable evidence of the practice of rigorous, disciplined, and sustained SE&I principles in support of the NASA certification and operation of commercial crew transportation services to the ISS. The minutes noted the Panel remains concerned about the action plan and whether it can be successful, but that it will continue to monitor NASA’s progress and will be providing additional feedback and assessments to the Agency – although the Panel recognizes that the commercial partners may not follow the same SE&I processes that NASA might have traditionally followed. 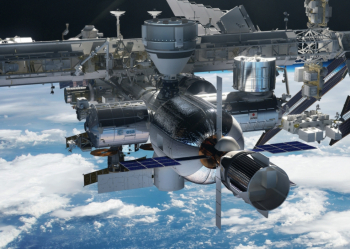 Overall, the ASAP appears to be positive about the progress made by the Commercial Crew companies and has notably softened its tone over the years after hearing encouraging comments from NASA teams embedded within Boeing and SpaceX.